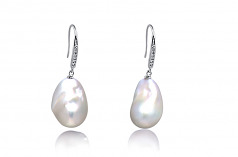 The White freshwater pearl and sterling silver earrings offer an attractive and lengthening design to the all over look and feel of the Semi-Baroque Shape. 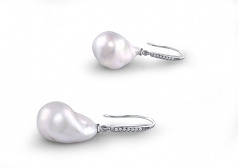 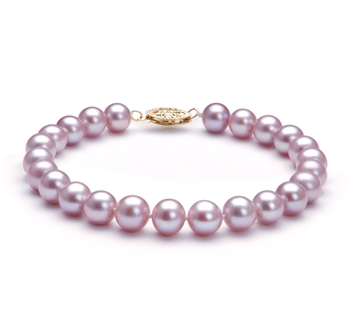 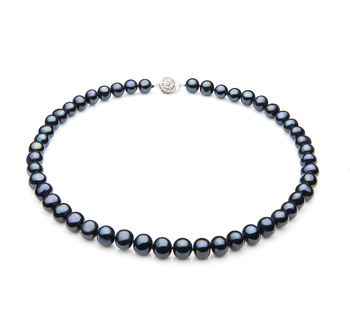 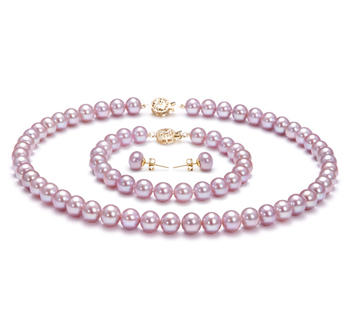 With a combination of the (AAA) luster and the Bead-Nucleated Nacre (AAA), the over surface of the pearl’s 15-16mm size is a dazzling array of sparkling sheer and shine. 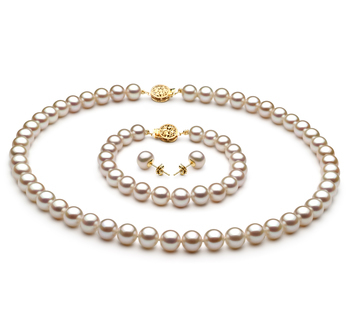 The elongated shape (SB)and design of the White almost translucent colored freshwater pearl aid in adding to the pearl’s overall length while the unique characteristics of its appearance give it a one of a kind pearl experience. 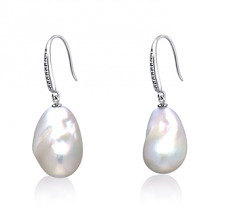 The .925 Sterling Silver fishhook loops are accented with cubic zirconia to add the extra wow factor to an already eye catching set of earrings.